LAKE MARY LANDINGS ....... WATCH OUT, THIS ONE IS LOADED !! 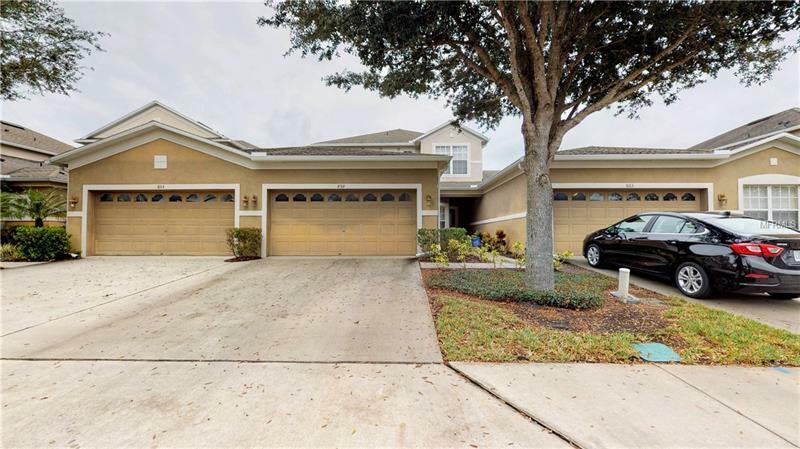 Impressive 3 Bedroom/ 2.5 Bath Townhouse in a desirable Gated Community. This Beautiful Home has been recently REMODELED / UPGRADED and like newjust ready to move into. Featured Upgrades include NEW CROWN MOLDING throughout 1st floor, NEW KITCHEN APPLIANCES & NEW BACK SPLASH, Granite Counters, NEW Bronze Hardware on Door Handles, Hinges and Stair Rail, NEW INTERIOR PAINT throughout, You will loveNO CARPET with NEW CERAMIC TILE FLOORS on 1st Floor and NEW WOOD LAMINATE FLOORS throughout in all Bedroom& Stairs, NEW Upgraded 5" Baseboards throughout. Master Suite offers Tray Ceiling, Ex-large Walk-In Closet and Master Bath with Huge Shower, Garden HydroSpa Tub, Dual Cabinets & Sinks, Marble Counter tops. Additional features include Formal Living Room, Formal Dining Room, Kitchen Opens to Family Room w/ Dinette, Snack Bar, Interior Laundry Room with Washer & Dryer, High Ceilings, Built-In Internet Work Station, Window Blinds, Security System, Fiber Optics with ATT and Screened Lanai. Community Features Gated Entrance, Sparkling Pool & Cabana and Playground. HOA includes Amenities, Lawn Maintenance, Exterior Maintenance. Convenient Location off 17-92 with easy access to 417, 17-92 and I-40. Close to Dining, Entertainment, Shopping, Schools andSeminole State College. Enjoy Florida Lifestyle at it's Best !! Call now for your private preview.